The complete is often shown as a 2-D flat formation merely to simplify the structure, although in reality this shape is twisted into a double helix. A gene may contain as many as 27,000 base pairs. 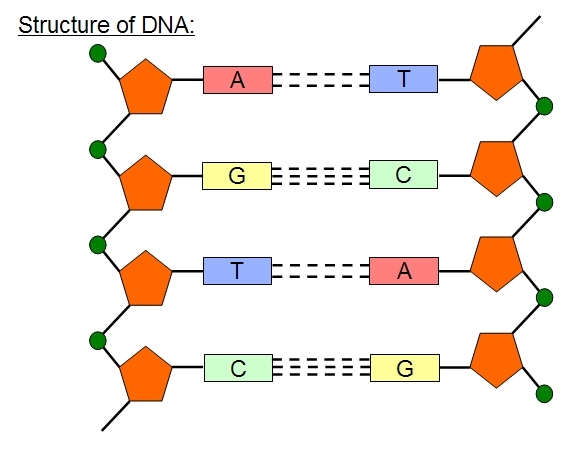 Typically only a section of about 1,000 base pairs is copied to make single stranded RNA. Ribose Nucleic acid is a single stranded copy of the sense strand of DNA (one of the two strands, that codes for a protein). 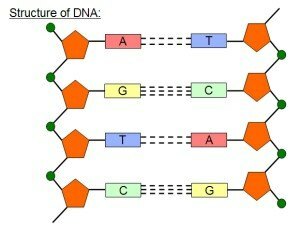 The rest of the DNA is important for regulation of gene expression eg. 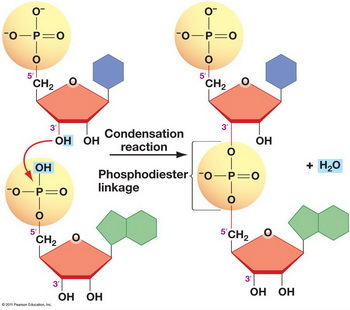 promoter genes (which activate genes).